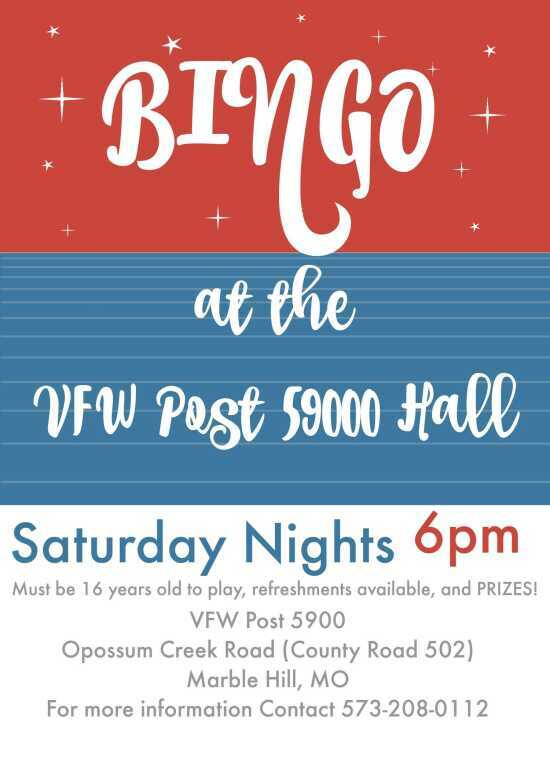 BINGO with VFW Post 5900 located at Opossum Creek Road (Country Road 502). Must be 16 years old to play, prizes, and refreshments available! Disclosure: This event is NOT hosted by the Bollinger County Chamber of Commerce, only advertised by the Bollinger County Chamber of Commerce.